You’ll reach the point in any job interview where you’ll be asked, “What are your strengths and weaknesses?” How do you respond—humorously? “My strength is being the best at everything, and my weakness is humility.” Or do you try to answer honestly? If you do try and take the question seriously, which you should, it’s not so easy. You want to be an advocate for yourself and share those big wins and skills that helped you rise in your profession, but you don’t want to come across as a blowhard. Then there are your weaknesses. It can feel as if you’re dismantling all defenses leaving yourself vulnerable in ways that might come back to haunt you. Maybe if you are honest, the weaknesses you expose will put you out of the running. It’s complicated. It’s like your resume. You don’t want to misrepresent yourself, but at the same time it’s a calling card for your skills, experience and mastery of job-specific tools that are targeted to the position for which you’re applying. “What are your strengths and weaknesses,” the interview question which everyone is asked, is like a minefield. How can you get through it while promoting yourself and still being sincere? Before getting into the meat of the question, before even stepping into the interview room, a candidate must be prepared to discuss their strengths and weaknesses. You know it’s coming, so if you’re not prepared, that is an answer upon itself. Think about that old legal adage that lawyers say. Don’t ask any question you don’t already know the answer to. That’s because you want to control the conversation. If you’re opening up to the unknown, then you’ve given up control and the conversation could go south very quickly. Therefore, before the interview have at least three or four examples of your strengths and a couple of weaknesses ready to share when asked. Don’t go overboard with the weaknesses, though. That part of the strengths and weaknesses question is to see how realistic you are. No employer wants to feel as if they’re dealing with a dishonest interview subject; that’s grounds for immediate dismissal. To make sure you don’t sound as if you’re inflating your value to the company, you’ll want to make sure the strengths you list can be substantiated. That is, you don’t want to give a vague or subjective answer but one that can be confirmed. What are the outside sources that a potential employee can cite to legitimize their answers in the face of a critical interviewer? The first and most obvious answer is if you’ve been rewarded or given some kind of award or certification that highlights your strengths. Another set of proofs to back up your claims would be any accolades you’ve received over the span of your career. That can be a special honor or even a letter of recommendation from a previous employer who backs up your claims. If you’ve not received any awards or commitments from previous managers, then the next best thing to do would be to frame your answer in a story. Provide an anecdote that demonstrates your strength in action and context. This will go a long way to giving your statement validity. What Are the Right Strengths? Not all strengths are created equally. When you go over your career to cherry-pick the strengths that will show you in the brightest light, be sure to choose wisely. Is there a metric by which you can measure what strength is best to highlight? Yes. To begin, make sure you’re choosing strengths that are directly related to the job you’re interviewing for. You might be a great birdwatcher, but unless that skill is relevant, it’s best to avoid mentioning it. Also, it helps if you can show that one of your strengths is an ability to transition quickly from one position to another, or one environment to another. The reason for this is obvious. The new employer wants to hire a candidate who can settle into the new job faster and thus perform better than others. As noted above, it’s not a strength if you can’t prove it by some means other than your opinion. Therefore, avoid anything that reeks of grandstanding or is just said to boost your ego. It’s not going to help you navigate the strengths and weaknesses maze. If you have tangible evidence to support your claims, then they’re going to have a greater impact on the person conducting the interview. It’s also going to resonate and help you stand out. If you don’t, then you run the risk of resonating for the wrong reasons. What this means is you’re really taking about achievements rather than strengths. Achievements can be quantified and proven, where strengths tend to be more abstract. You can note your strength, and should of course, but then back it up with the achievement that came about because of it. Also, don’t talk about strengths as if they’re a point in your past. Strengths are ongoing, and therefore it’s not a strength if you can only prove them by showing them awards from high school or some other outdated accomplishment. Don’t make up accomplishments if, say, you’re a recent graduate without experience. The truth is you might not have work experience, but you likely have experiences that can be valuable to an employer. Maybe you did volunteer work or there’s some accomplishment in your academic career you can use as an example of the strength you bring to position. How Do You Talk About Your Weaknesses? It’s more difficult to answer the part of the question about your weakness. It’s counterintuitive to enter a job interview and show why you’re not right for the position. But you’re not telling a story about why you’re not a good fit for the company, you’re showing that you’re honest. Everyone has areas in which they can improve. What the interviewer is looking for is a sense that you’re introspective, contemplative and willing to learn from any mistakes you’ve made. Remember, we all make mistakes. There’s nothing wrong with making a mistake if you own up to it and turn that failure into a lesson. When have you shown that a weakness was an opportunity for your to be proactive and address those parts of your performance in which you can do better? But when you do choose a weakness and use it as a way to spin a positive. In this case, less is more: address the weakness but use the bulk of your answer to elaborate on the steps you’ve taken to mitigate it. What Are the Right Weaknesses? There are weaknesses that show that a person is always working on expanding their skill sets, and then there are those weaknesses that will have an employer showing you the door pronto. 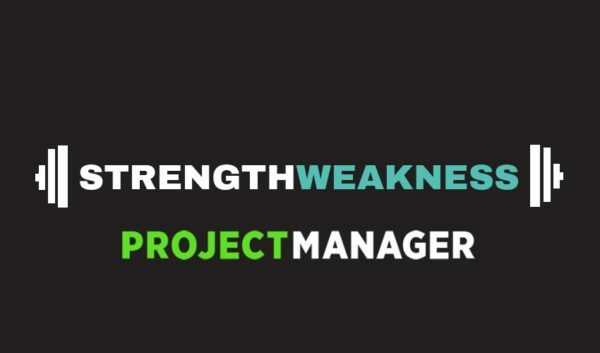 The right weakness is one that doesn’t make you incompetent in the eyes of your potential employer. You don’t want to say, for example, that you steal. There’s little good you can spin out of that yarn. Another good rule of thumb is that whatever weakness you talk about shouldn’t directly relate to the job duties for which you’re being considered. You don’t want to plant any seed of doubt in their minds. If your weakness is directly related to the job you’re interviewing for, it’s going to blow up in your face. An employer doesn’t want to hire a typist who says they’re always making mistakes or typing very slowly. Also, don’t get too confessional. The weaknesses shouldn’t be attached to the position you’re applying for, but at the same time they shouldn’t be personal. For instance, saying you have a drinking problem is a weakness but one that is not going to endear you to the boss or really any of their business, unless it impacts you work. Keep it work-related and show that you’re aware of it and taking action to improve. The best weaknesses are those that you are actively working to reverse. It shows that you have a realistic picture of your abilities and are not complacent but working towards getting better. Employers love that. When it comes to strengths and weaknesses, one of the great strengths you can bring to any job is having working knowledge of the right tools to get that job done. ProjectManager.com is a cloud-based project management software that gives you the features you need to plan, monitor and report on any project. Try it today, with this free 30-day trial.